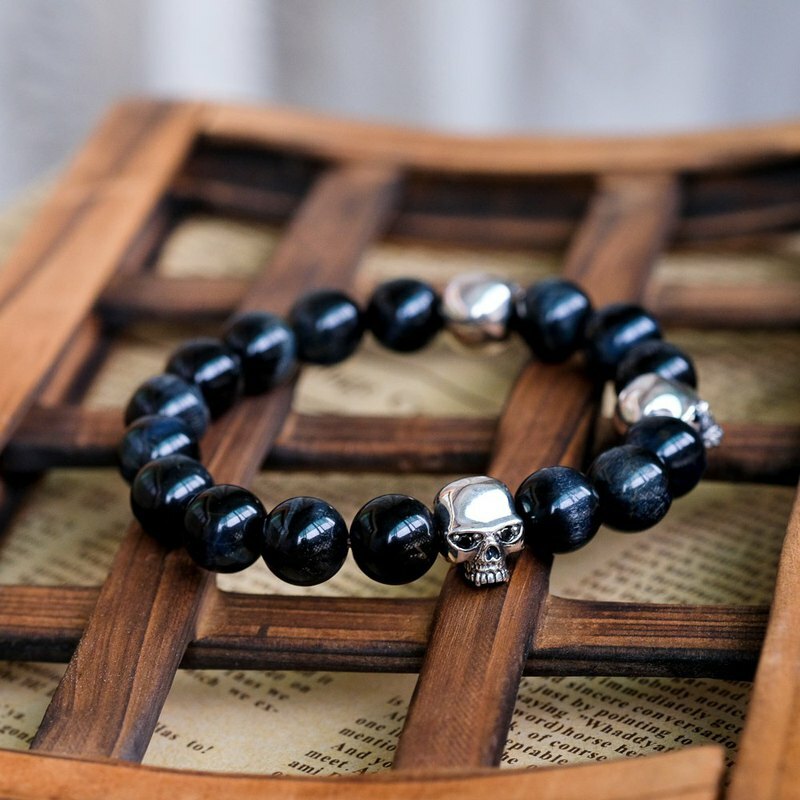 Black diamonds for the hollow eyes Stringed with natural stone beads a beautiful and punk-style bracelet Black blue tiger eye with a starry glow Or marble-like elegant white stone Two styles to choose from "This product is ordered and will not be accepted for return. Please confirm your needs before placing an order." Material: Black blue tiger eye 925 silver zircon (drilling color can be changed black, white, red, purple, dark blue) Size: Bead width 1 cm Inner circumference: 17 cm (elastic circumference) ※ The product packaging comes with a gift box, a collection of velvet bag, a storage bag and a silver cloth. If you need a gift bag, please inform us.